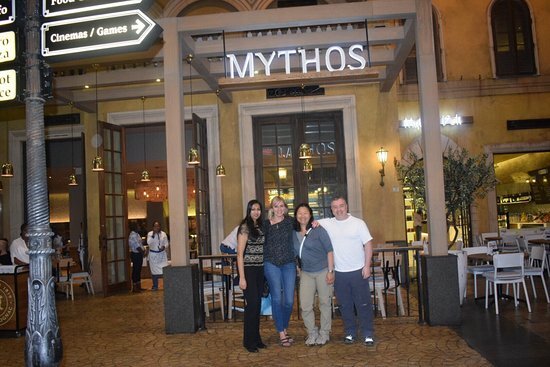 Monte Casino is a prime team building venue in Johannesburg. Monte Casino offers two team building packages; the Amazing Race, and Casino Royale. Both events are inclusive of arrival coffee and pastries, refreshments, and a Greek Meze Buffet at Mythos Restaurant. A Meze is a table buffet, where the food just keep on coming. The winning team get to break the plates - what a vibe! The Greek Meze at Mythos Restaurant consist of ("Greek table buffet") Rump Strips, Beef Yiro (wrapps), Chicken Yiro, Haloumi Yiro, Haloumi Salad, Souvlaki (kebabs), Hake, Pita, Hummus, Tzatziki, Keftedes (meatballs), Biftekia (mince beef patties), Piatakia (thin lamb chops), Papoutsakia (stuffed eggplant topped with feta and Bechamel Sauce), Chicken Wings, Greek Salad, and Chips.